The authors are indebted to the editor and reviewers for constructive comments. Bank deposits/GDP. Bank deposits here refer to demand, time and saving deposits in deposit money banks (Lines 24 and 25 of International Financial Statistics (IFS); October 2008). (Financial deposits – Bank deposits)/ GDP. Financial deposits are demand, time and saving deposits in deposit money banks and other financial institutions. (Lines 24, 25 and 45 of IFS, October, 2008). (Money Supply – Financial deposits)/ Money Supply. From ‘formal and semi-formal’ to informal financial development (Informalisation). (Money Supply – Bank Deposits)/Money Supply. Formal to ‘informal and semi-formal’ financial development: (Semi-formalization and informalization). Agoba, A. M., Abor, J., Osei, K. A., & Sa-Aadu, J. (2019). Do independent central banks exhibit varied behaviour in election and non-election years: the case of fiscal policy in Africa. Journal of African Business, 1–21. https://doi.org/10.1080/15228916.2019.1584263. Asongu, S. A., & Odhiambo, N. M. (2019a). Basic formal education quality, information technology, and inclusive human development in sub-Saharan Africa. Sustainable Development. https://doi.org/10.1002/sd.1914. Asongu, S. A., & Odhiambo, N. M. (2019b). How enhancing information and communication technology has affected inequality in Africa for sustainable development: an empirical investigation. Sustainable Development. https://doi.org/10.1002/sd.1929. Asongu, S. A., & Odhiambo, N. M. (2019c). Economic development thresholds for a green economy in sub-Saharan Africa. Energy Exploration & Exploitation., 014459871983559. https://doi.org/10.1177/0144598719835591. Asongu, S. A., & Tchamyou, V. S. (2019). 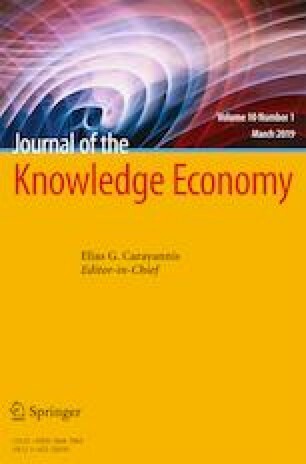 Human capital, knowledge creation, knowledge diffusion, institutions and economic incentives: South Korea versus Africa. Contemporary Social Science., 1–22. https://doi.org/10.1080/21582041.2018.1457170. Asongu, S. A., Nwachukwu, J. C., & Pyke, C. (2019a). The right to life: global evidence on the role of security officers and the police in modulating the effect of insecurity on homicide. Social Indicators Research. https://doi.org/10.1007/s11205-018-1992-2. Tchamyou, V. S. (2019a). The role of information sharing in modulating the effect of financial access on inequality. Journal of African Business. https://doi.org/10.1080/15228916.2019.1584262. Tchamyou, V. S. (2019b). Education, lifelong learning, inequality and financial access: evidence from African countries. Contemporary Social Science. https://doi.org/10.1080/21582041.2018.1433314.